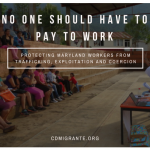 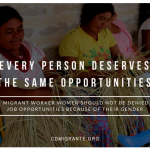 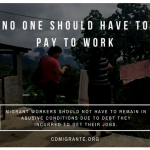 Raise your voice to protect Maryland migrant workers - Centro de los Derechos del Migrante, Inc.
Find your Maryland representative’s name and email here. 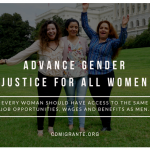 Create an email using the template below. 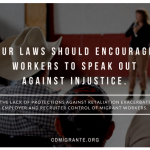 Feel free to include one of our campaign images below. 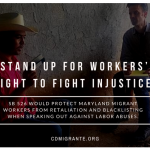 I’m writing to ask you to support SB 526 / HB 1493, which strives to protect the tens of thousands of migrant workers who arrive in Maryland every year. 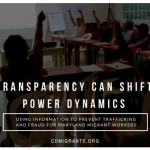 Workers who are recruited internationally — from teachers and caregivers to landscapers and seafood processors — face similar patterns of abuse, including trafficking, fraud and exploitation.